Bio An experienced trial and appellate attorney, he has litigated equine-related disputes in courts throughout the United States, and in regulatory agencies and arbitration tribunals throughout the world, including matters involving the U.S. Olympic Committee, the Federation Equestre Internationale, the English Jockey Club and its successor racing authorities, and the Court of Arbitration for Sport. Mr. Finkelstein has served as counsel in more than 100 equine medication and participant disciplinary cases. His litigation services include both initiating and defending civil proceedings related to equine-related disputes, such as the purchase, sale and leasing of horses, disputes between and among owners and trainers, and liability matters. He takes a proactive approach toward enhancing protection of clients in their equine transactions, and resolving conflict, thus minimizing litigation. 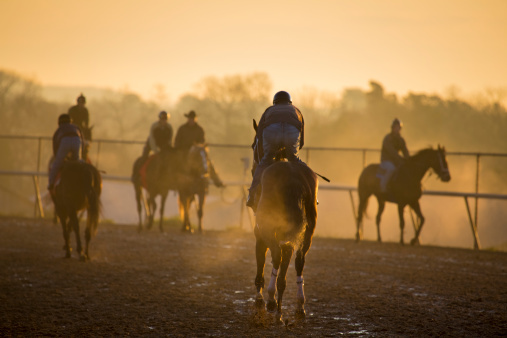 Transactional matters include business formation (corporations, partnerships, and limited liability companies), racing and breeding syndications, sales, leases, insurance, and regulatory and license-related compliance issues. Mr. Finkelstein has been elected a Fellow of the American College of Equine Attorneys (ACEA) (one of fewer than 20 attorneys nationwide so-designated,) and he is a member of the ACEA Board of Directors and one of its three Stewards. He is a long-time member of the Planning Committee of the Annual National Conference on Equine Law, an intermediate-to-advanced continuing legal education program for equine lawyers, conducted by the University of Kentucky College of Law. He has presented or co-presented six programs at the Conference.